The Spinal Cord Injury Medicine Examination was administered on November 6, 2017. 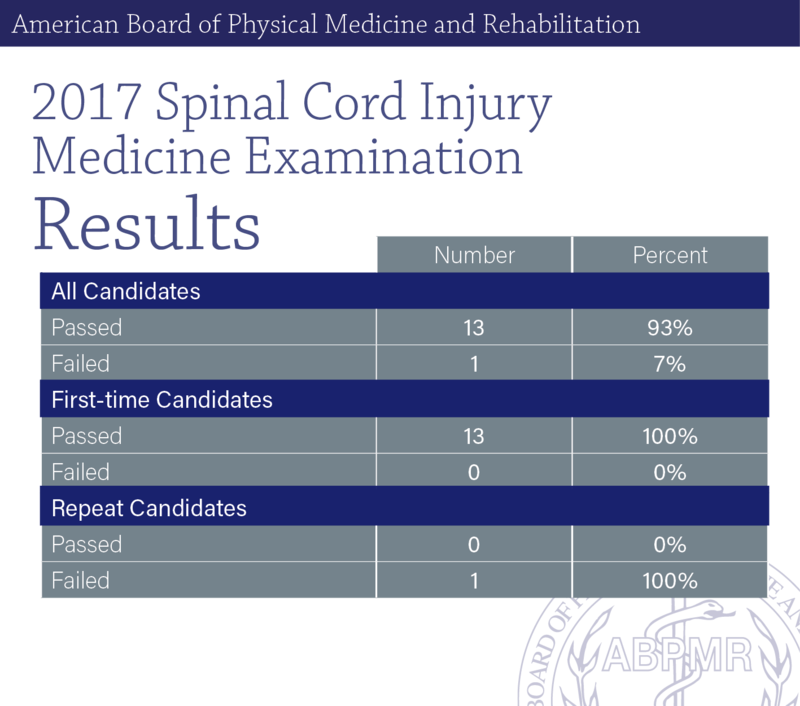 Results as well as a list of physicians who are newly certified in Spinal Cord Injury Medicine can be found here. 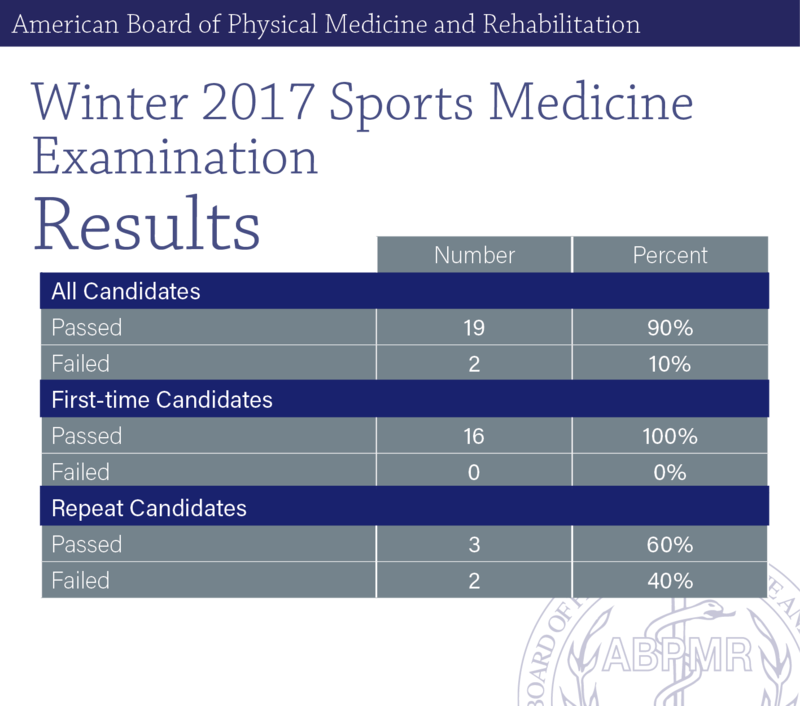 The Sports Medicine Examination was administered on November 6-11, 2017. Results as well as a list of physicians who are newly certified in Sports Medicine can be found here. Physicians maintaining their certification for Sports Medicine took the maintenance of certification examination on November 6-11, 2017. Results of the exam can be found here.